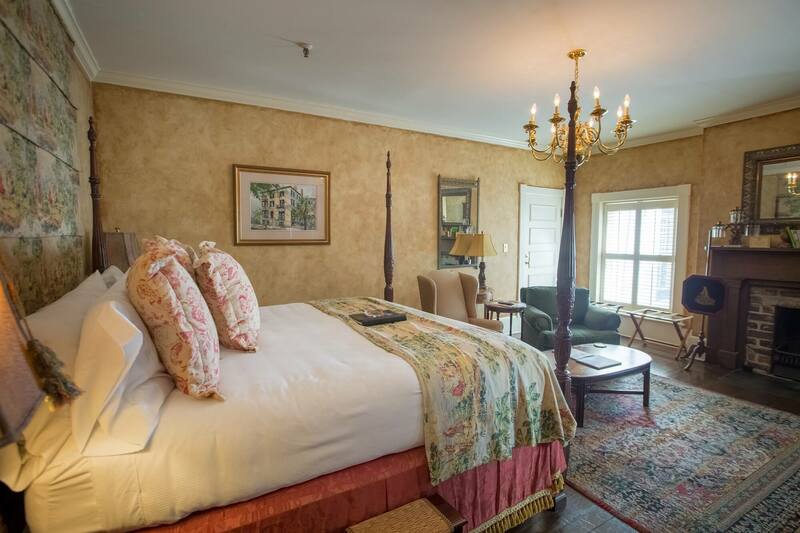 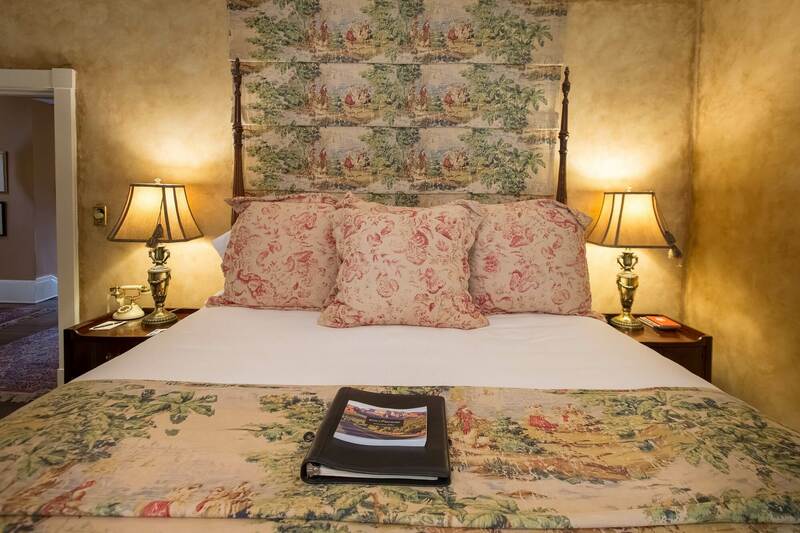 Sophisticated in style, with faux rusticated plaster walls and French toile-inspired patterns of the past, this accommodation offers a peaceful luxurious retreat and the perfect Savannah GA romantic getaway. 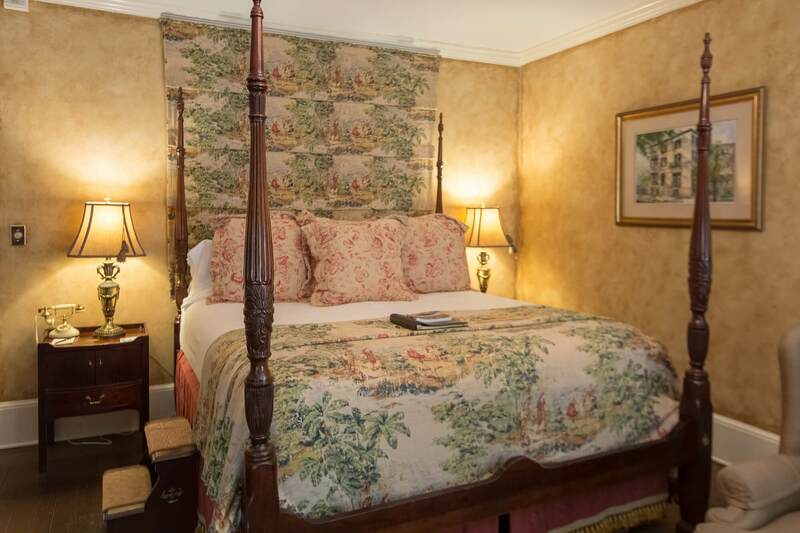 This guest room at our Boutique Inn in Savannah GA is tastefully appointed with a king-size four-poster rice bed, a handsome English mahogany armoire, and lovely sitting area with a wonderful velvet club chair and ottoman alongside a distinguished wing back chair. 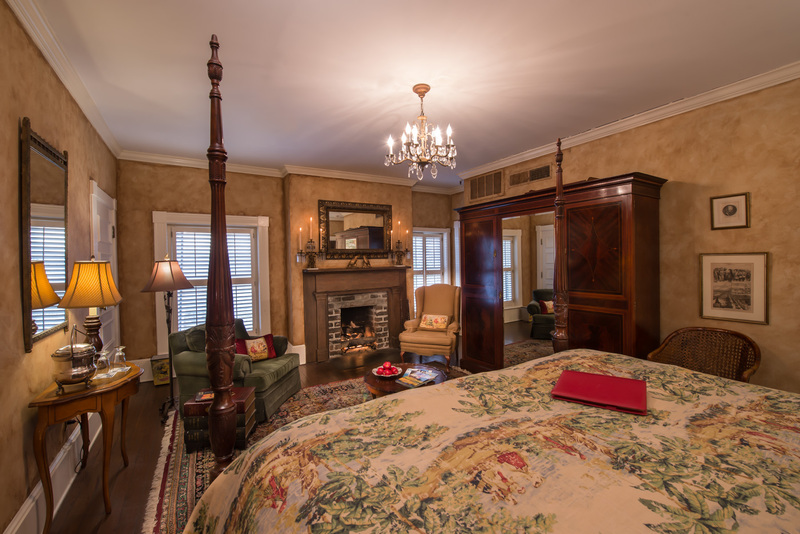 Let the Savannah gray brick fireplace keep you cozy in the evening at our Savannah B&B.